Best Milan Blogs 2019 - As Selected by Locals! Best Milan Blogs 2019 – As Selected by Locals! We asked our own Milan bloggers about their favorite independent Milan blogs & websites. Here’s a list of their tips in alphabetical order! Tamu is more of a globetrotter than we are. Born in Jamaica, raised in New York, living in Milan. That’s quite the resume. She started out as a street style photographer and that shows in All The Pretty Birds. The blog is a mixture of photography and style, of criticism and beauty, of spontaneity and clear-sightedness. It’s pretty clear how we feel about this one, no? Go have a look! Girl in Milan is a great blog about living, breathing and exploring Milan. It has some great food recommendations for when you’re visiting the beautiful city, like real local Milanese food and typical Italian foods that are worth trying. But besides great food recommendations, the blog also features some up to date event tips and day trips you can take to places around the city. It’s a great blog to check out if you’re in need for some tips or inspiration on what to do, eat and see when visiting Milan! If you’re looking for a fun and interesting experience food wise in the Italian city, then check out L’escalope Milanaise. It’s a Milan-based independent blog about food and food culture in the beautiful city. This blog updates semi-regularly and has fun, interesting and informative content about great places to eat at. 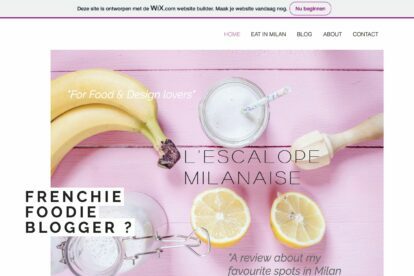 L’Escalope Milanaise is run by a French girl with a passion for food and interior design. Which totally reflects on the featured content. She doesn’t write about the bad places, which means it’s one big positive bubble! They say that a picture paints a thousand words, so a photo blog must paint quite the interesting story! 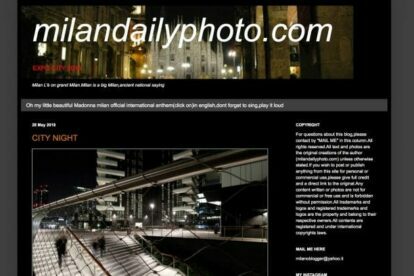 Milan Daily Photo is a fun and interesting photo blog that follows this blogger’s journey throughout the city. Wherever they go, their camera follows. You’ll see places you’ve never heard of. And places you’ve seen a thousand times, but never paid attention to. And familiar spots put in a different perspective. Enjoy photos of the most visually stunning areas in Milan, while also planning on where to go and what to see in the city! Interested in fashion but – clearly – also in travel? Then The Chic Attitude is the perfect choice for you. The founder of the blog, Valentina, has a passion for photography and luxury clothing, whilst her job offers the opportunity to travel the world. Her site is well thought of, inspiring to browse, and makes us a little jealous. But we want to share The Chic Attitude with you anyway as it’s just too good to miss out on! Truly a blog that has a little bit of everything. 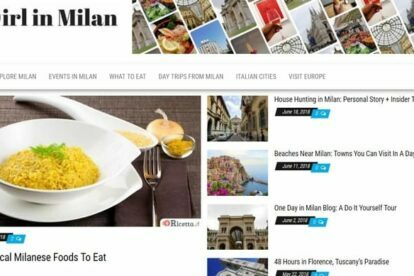 Where Milan is the blog you should check out if you need any kind of information about the city. 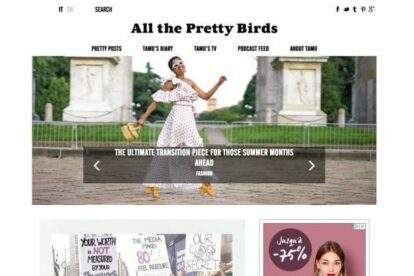 It’s run by the local editors of Where Italia who want to provide readers with an authentic and local experience while in the city. Which they do through informative articles, interesting tips, and fun guides if needed! Where Milan covers a variety of topics. From food, places to sleep, and museums to art galleries, events, and shops! 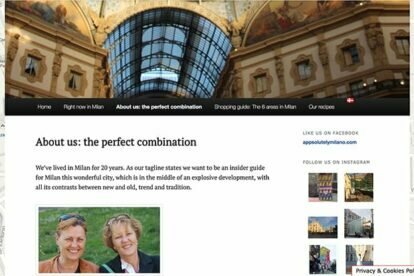 Appsolutelymilano is a blog by two very enthusiastic locals who’ve lived in Milan for over 20 years. They publish a mix of “to do” tips and useful info (like an overview of the best apps). 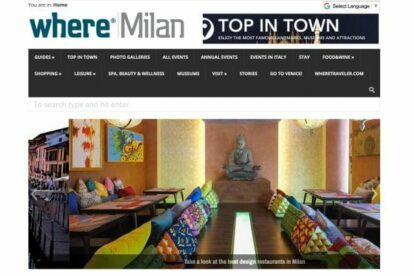 And our favorite part: every week they update their “Right now in Milan” page with lots of cool new events. Very useful, as there’s limited English language coverage about events in Milan! Did we miss your favorite blog about Milan? Please let us know at milan@spottedbylocals.com!